that I'll start forgetting things. At first just a little, and then a lot. So I'm writing to remember. All Sammie wants to do is graduate at the top of her class and get out of her small town, and go to College. With all the determination needed to do just that, nothing is going to get in her way – not even an illness that will start taking away her memories and eventually her health. To combat her Niemann–Pick Type C (NPC) disease, Sammie creates the Memory Book. She records her days, her schooling, her conversations, her super crush on Stuart Shah, her worries, her determination, her achievements, her neighbor and childhood friend Cooper. Sammie continues working hard to be her class’s valedictorian, making sure she’s getting to class, she’s doing her work, she’s striving to achieve her goals. She even starts going out with Stuart, who previously was only ever her heart-throb from a distance. While her relationship with her good friend Maddie is, at times, strained, Sammie enjoys life, and recognizes the moments that she forgets things. It’s in one of those times for forgetting that she finds herself lost, or rather, misplaced, on her way to a party. Thankfully, she knows to call Cooper, who comes and picks her up. It’s this time that is really the beginning of the memory loss becoming more frequent, and not only that but of her renewed friendship with Coop. 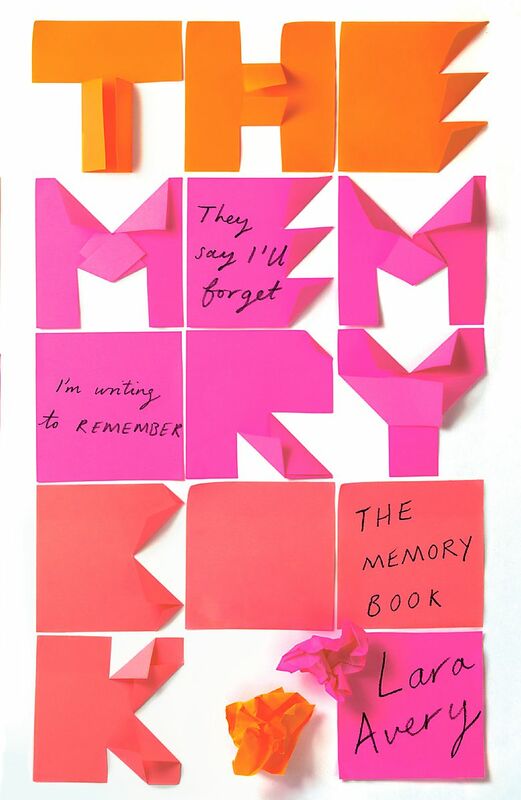 As the weeks and months go by, her memory book starts to fill up, and while there are more memories on paper (or screen, as it were) there are less in her mind. As Sammie begins to forget things more frequently, the pages are shorter, the accounts less detailed, the strain in her writing more apparent. As she and those around her – her family, her friends – struggle with the memory loss, the story follows in parts as Sammie’s health deteriorates. This was a beautiful book. I wanted to just keep reading and keep reading. It was a ‘just one more chapter’ kind of book, which really got away on me actually, as sometimes the ‘chapters’ were just 1 page long. Or even one sentence. Every so often, there would be a section written by a family member or Cooper, especially nearer the end when Sammie couldn't write as much. Because Sammie was the narrator of her own life for the majority of the book, you literally only knew what was happening around her when she wrote it down. Sometimes other character's notes helped in the back-filling of an event or situation that Sammie either didn't know about previously, or just simply didn't remember. I really liked Sammie as a character, and I think that, because you were reading what she the character had wrote, it was like you wanted to her be good and fine, and you wanted her to achieve and be happy, even more so than if it were just a story about a sick girl written in first person. I don’t know if that makes sense, but hopefully you know what I mean. She was funny and quick witted, and I found myself laughing at loud out some parts, and wanting to cry at others. While the ending was what you would expect, it still came quickly and was still as tear-worthy had it been drawn out. It was beautifully and wonderfully written, and I definitely want to read Lara Avery’s other books. 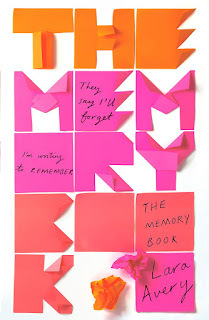 Have you read The Memory Book? Is it on your TBR list?